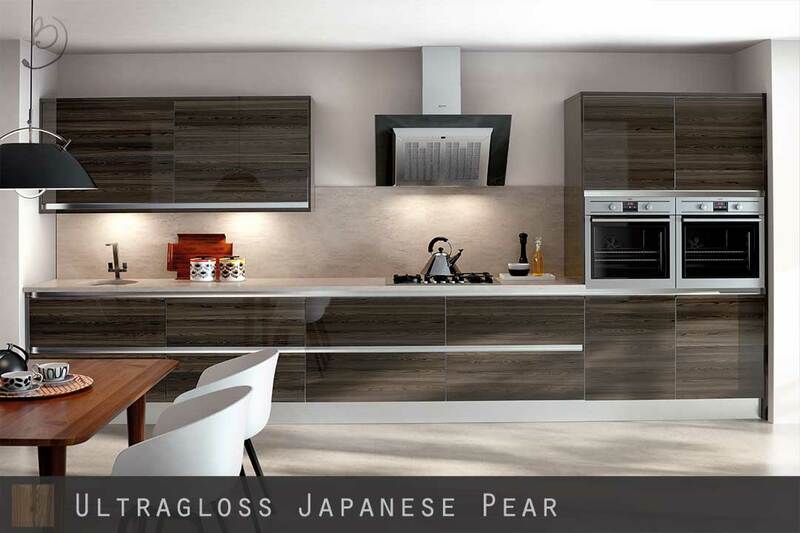 Ultra High Gloss Japanese Pear Curved Doors with absolutely stunning unrivalled levels of gloss. They also carry the FIRA Gold Award which is the ultimate mark of product excellence within the furniture industry. 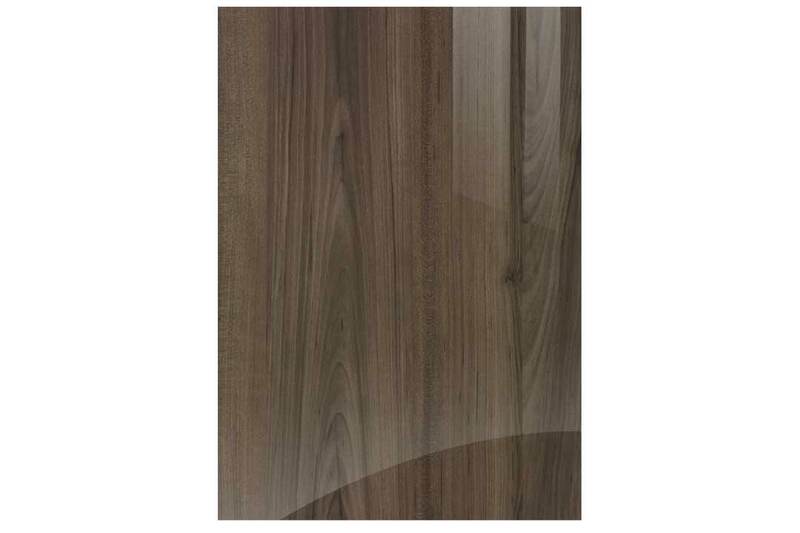 Japanese Pear is stunning woodgrain which stands out vividly due to the high levels of gloss. Often used as a contrasting colour in a kitchen for banks of units or drawer packs etc. 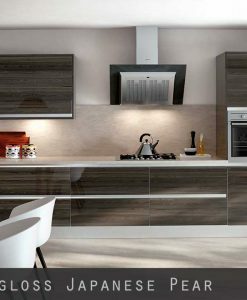 Our acrylic faced & edged doors are what we consider to be the top end of the market for High Gloss Kitchen Doors. They have a flawless glass-like finish in a slab design and are edged to the highest quality possible using state of the art CNC and robotic processes. 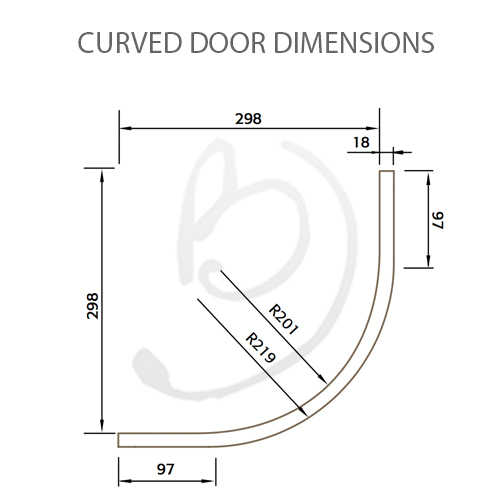 This gives these ultra modern doors one of the best finishes in the market of its type. 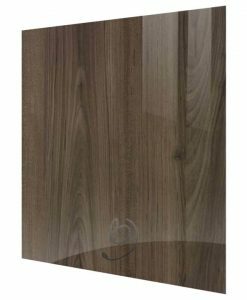 – Acrylic Doors are composed of an MDF core which then has a solid sheet of acrylic faced on to it – This is how it gets its glass like finish with no ‘orange peel’ effect or imperfections due to the thick acrylic surface. – With vinyl wrapped doors, you are pressing a thin film of vinyl onto the MDF core and so any specs of dust/glue or surface imperfections show through – creating that dreaded orange peel effect. – Sprayed/lacquered doors are a huge step up from vinyl wrapped, but unfortunately still suffer from imperfections due to inconsistent layers of paint and spraying techniques. 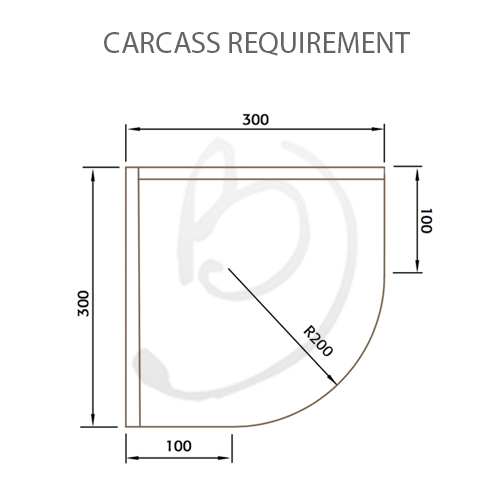 They vary hugely from supplier to supplier in their quality. 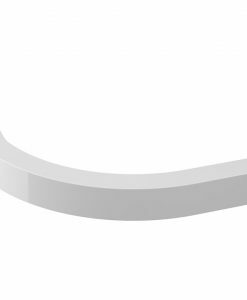 -Our Acrylic faced curved doors are manufactured in one of the most advanced factories in the industry today, and are produced to the very highest quality and spec possible using CNC and robotic processing machinery. 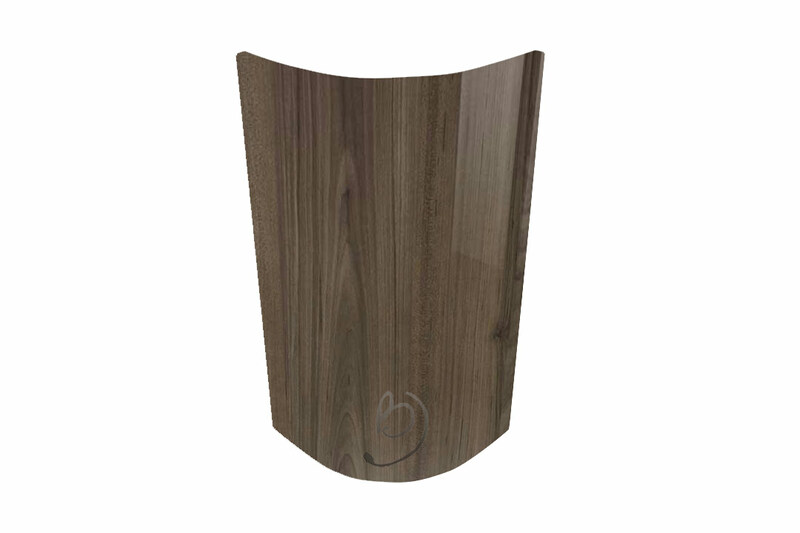 -Material: 18mm MDF core with a surface finish in a mix of Acrylic/PVC materials. 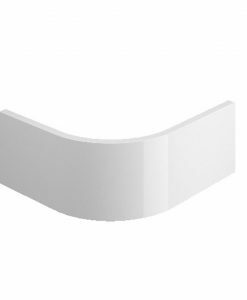 -To ensure durability, quality and a high spec finish, the edging is applied using PUR (Poly Urethane Reactive) glue with a much higher heat and water resistance than glues normally used. -Fira Gold Award, BS 6222:Part 3, BS EN 312, BS EN 622, Fira Standard 041, Fira Standard 048, Fira Standard 6250. -Back of door is in a silver colour. These doors are made to order. It takes 7 to 10 working days to manufacture and they are then despatched via a 48hr courier – So please allow up to 12 working days. We always do our best to get them out sooner if possible though! -Total Order over £375 = FREE! 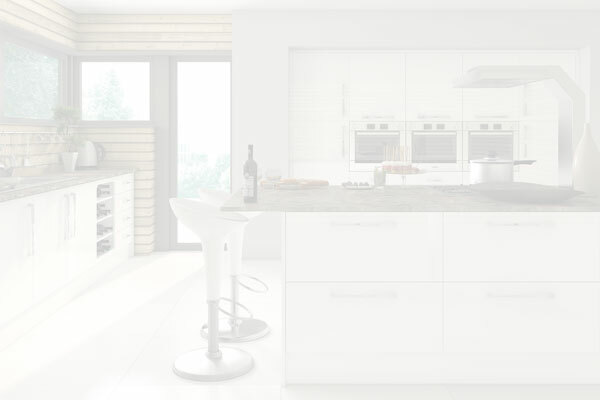 We feel this is one of the most important stages and nearly always neglected for kitchen doors. We do our best to make sure that customers receive the goods in the same condition they leave our factory. Orders are packed into bundles, all wrapped, with heavy duty corner protectors and thick polystyrene and then strapped into strong cardboard boxes. 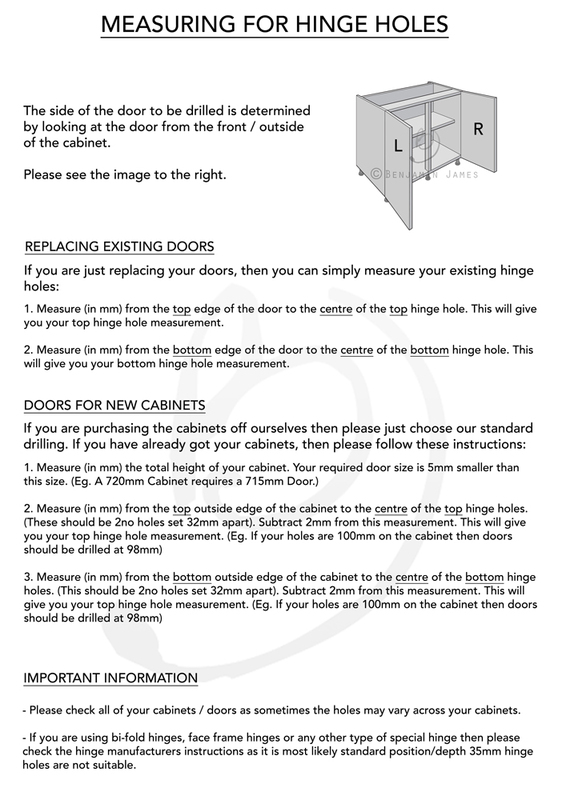 This range of doors and components carries an industry leading 10 year guarantee. Full details of the guarantee are available upon request or in our FAQ section. These doors carry the FIRA Gold Award – The ultimate mark of product excellence within the furniture industry, giving you reassurance that it meets all necessary standards and much more.